The Radio Station That Changed The World! 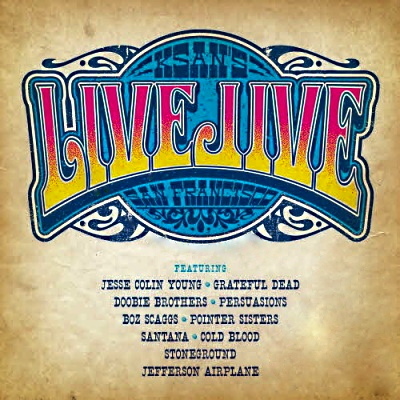 This is the definitive documentary about the San Francisco progressive free form radio station KSAN Jive 95. The Jive 95 was founded by radio legend Tom “Big Daddy” Donahue in May 1968. The 12-year period of KSAN from 1968 to 1980 was not only pivotal in the formation of many new concepts and ideas about radio, but also about the culture of the time. KSAN Jive 95 spoke to a new generation of radio listeners and the music was the soundtrack of their lives. “KSAN Jive 95: The Movie” tells the complete story of the world changing FM radio station through interviews with the DJ’s, staff, musicians and personalities that were lucky enough to have been part of the station. Check Out Our Cool 2018 Trailer! The contemporary music scene shifted in 1966, especially in San Francisco. Psychedelic ballrooms were popping up everywhere and the younger generation sought a fresh medium where new local music could be showcased. In 1967, San Francisco had experienced the Summer of Love. In 1968 the escalation of the Vietnam War, the loss of Robert F. Kennedy and Martin Luther King set the tone of the day. That same eventful year, KSAN Jive 95 came along – a new face on the uncrowded FM stereo radio dial – to captivate young people looking for some good news and new music. The jocks were friendly and spoke at a pace you could understand. CLICK HERE TO SEE THEM. The music – a mix of rock, jazz, R&B and folk – flowed freely in thematic sets. The station quickly became an audio home for Bay Area hipsters. KSAN was the showcase for many musical talents who embodied ‘The San Francisco Sound’ and went on to become nationally and internationally successful bands. During this period the art of free form radio was perfected and honed by a group of individuals who each brought their unique musical perspectives and knowledge to this ‘new’ radio station. One of the California Historical Radio Society’s goals is to tell the stories of Bay Area radio to chronicle the effect that radio has had on our society and to keep these important histories alive. One of the most important radio stories is the KSAN Jive 95 era story. The Jive 95 Era of KSAN was named the Legendary Station in 2014 by the Bay Area Radio Hall Of Fame. CHRS and the team producing this movie sees Radio as transformational to 20th century society and culture as the Internet has been to the 21st. KSAN transformed and changed the world of radio and we have a passion to tell the KSAN story. “The KSAN Jive 95: The Movie” production team members are Senior Producers Kenny Wardell & Eric Christensen, Director/Videographer Jesse Block, Producers Jim Draper & Steve Kushman and Assistant Producer Debbie Sommer. “The Radio Station That Changed The World – KSAN Jive 95: The Movie” is a CHRS Radio Dog Production. You Can Make It Happen! If the Jive 95 was an important part of your life and you want to share it with many, please help us fund the production and distribution of this important film. Please CLICK HERE TO DONATE today. Your donations are tax deductible. Thank you for visiting this page. Yes, there is going to be a movie all about KSAN Jive 95, the Legendary San Francisco radio station. On this site, get all the latest news about this project. Find out how you can participate in history. 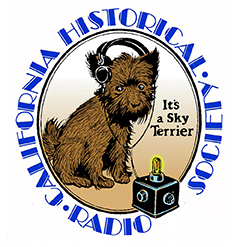 Sponsored by the California Historical Radio Society.